AlthoughI bought a copy of the Korgis' debut single 'Young 'n' Russian' a few months ago, I bought another one last week. The reason for that was the attractive sleeve and the fact that it had a different B-side. Over the past year, I have made an effort in completing some artist discographies. 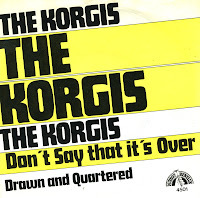 One of those artists was the British band the Korgis. They have released many singles in the first half of the Eighties, and most of them turn up in second hand shops for really good prices. One of the singles I couldn't find last year was 'Don't say that it's over'. So I was glad to finally add that one to my collection last weekend. The picture sleeve is a bit boring, but the two tracks on this disc more than make up for that. Despite decreasing success, charity projects in pop music were still going on towards the end of the Eighties. In 1990, a compilation album called 'Everybody's got to learn sometime' to benefit International Hostage Release was released. It included tracks by Dire Straits, Tina Turner, Simple Minds, Steve Winwood, Mike Oldfield and many other artists who were wellknown for their commitment towards the freeing of hostages (?) . 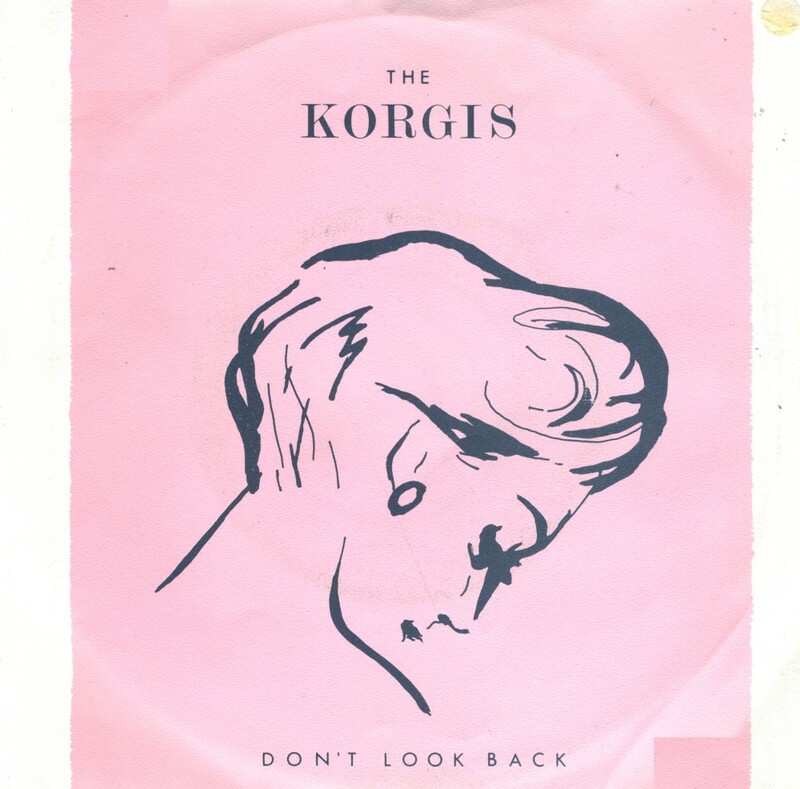 The title track was performed by the Korgis. 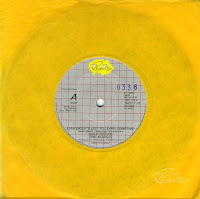 However, it was not the wellknown original version from 1980, but a new recording of the track. As far as re-recordings go, this was a rather good version, although it added nothing to the original version. The single did not chart. 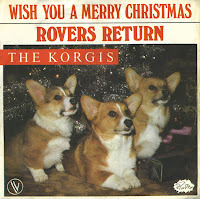 Although commercial success eluded them, the Korgis continued to record and release singles until the mid-Eighties. In their catalogue, 'True life confessions' is a somewhat atypical song for them, with a rather breezy pop sound, slightly caribbean. 'True life confessions', which was released as a single in the summer of 1985, also appears on the 1986 album by lead singer James Warren, 'Burning questions'. 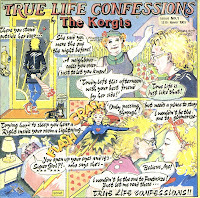 A 12" single with an extended version of 'True life confessions' also exists, but I have yet to find a copy. 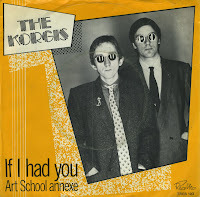 For the second time I bought the single 'If I had you' by the Korgis. I already had this version, which includes two tracks on the B-side, but this single only includes one of them. 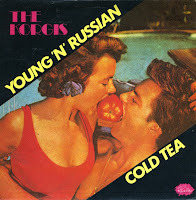 Furthermore, the sleeve design is similar to the one of 'Young 'n' Russian', also released in 1979. After all this information, one would almost forget that 'If I had you' is simply a lovely pop song, which should have been a big hit all over Europe. 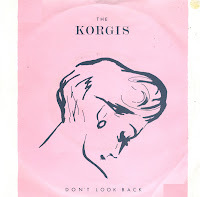 In 1982, the Korgis turned to legendary producer Trevor Horn for their single 'Don't look back'. It remains one of the most monumental ballads in their catalogue, with grand instrumentation and a great mournful lyric. It's a mystery to me why this single didn't meet any commercial success. When everything Horn touches turns into gold, this one remains one of the hidden gems of his body of work. 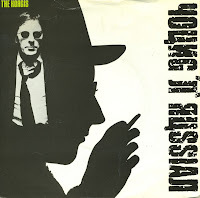 'Young 'n' Russian' was the debut single of the Korgis, back in 1979. The label Rialto records, on which it was released, was owned by their managers Nick and Tim Heath. The single did not chart, but it would appear on their self-titled debut album, released a few months later. Things got rather confusing circa 1985. 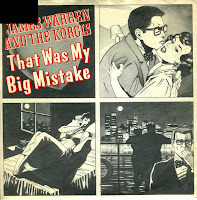 While James Warren recorded a solo album entitled 'Burning questions' in 1986, singles from this album were released under the band name 'The Korgis'. 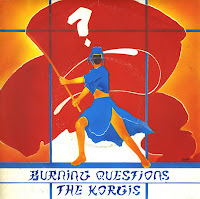 The title track was already released in 1985 as 'Burning questions' by the Korgis. The single did not chart. 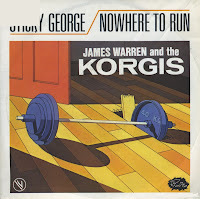 'Sticky George' was the title track from the Korgis' third studio album. It was released as a single in 1981. Like with the single 'Dumb waiters', the artwork department had an easy week, as again the album sleeve was used for this single. The single did not reach the chart in any territory. I do remember hearing it for the first time back in 1981 and being very impressed. 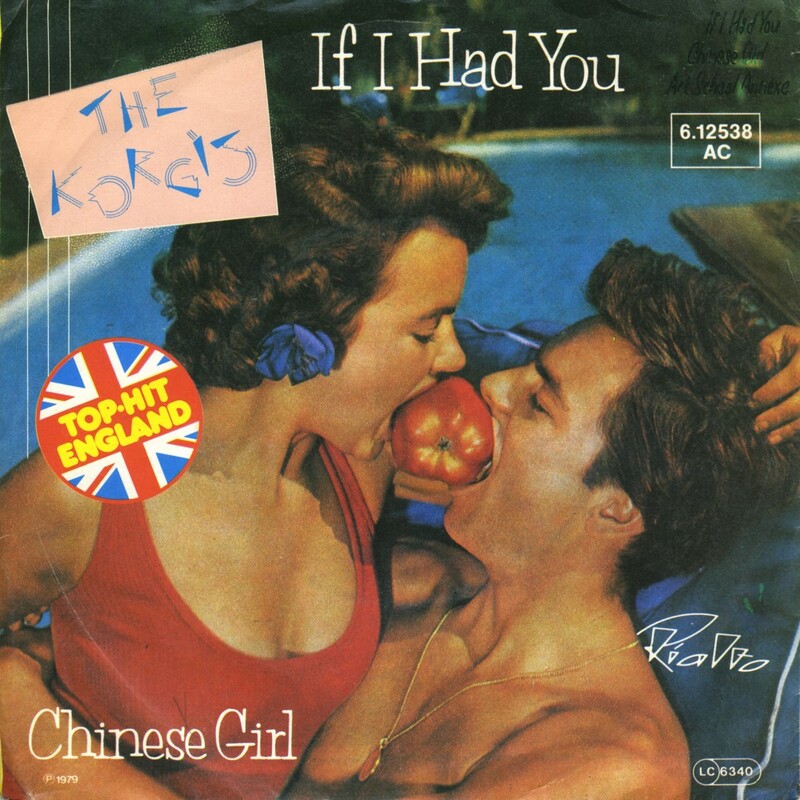 'If I had you' was the Korgis' second single, released in June 1979. It reached number 13 in the UK singles chart, giving them their first hit single. Their self-titled debut album was released a month later, in July 1979. The song was later covered by various artists, amongst which Tracey Ullman and Rod Stewart. 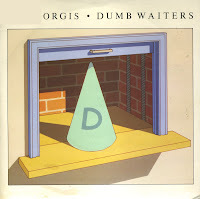 The artwork department must have been happy when 'Dumb waiters' by the Korgis was released as a single. They didn't even bother to design a new sleeve: the single sleeve was identical to the album sleeve - as the album was also called 'Dumb waiters' anyway. 'Dumb waiters' was the third single from the album, but unlike its two predecessors, it did not reach the UK singles chart. I don't have an enormous amount of instrumental hit singles, and certainly the only instrumental song that became the signature track for an artist I can think of was Mike Oldfield's 'Tubular bells'. 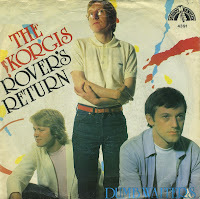 But 'Rover's return' by the Korgis is another good example. It may have been the funny barking noises and the upbeat character of the track that caused it to be played so often on the radio in 1980. This in turn helped it become a big hit in the Netherlands, peaking at number 6 in the Dutch Top 40. The track was obviously less popular with UK DJ's, as it didn't chart there. For a while in the early Eighties, I thought the Korgis were the coolest thing since sliced bread. That was largely thanks to their biggest hit 'Everybody's got to learn sometime', but this single was a close second in my book. 'That was my big mistake' was the first single from their 1981 album 'Sticky George'. A lot of people did not agree with me, as the single did not chart in any country. 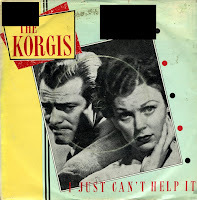 Released in 1980, 'I just can't help it' was the Korgis' fourth single release. Their debut single 'Young 'n Russian' was released twice without chart success, whereas their second single 'If I had you' gave them their first chart success. 'I just can't help it' was remixed for the single release, but it didn't help matters much: the single didn't reach the UK singles chart. Their next single would be the biggest hit of their career: 'Everybody's gotta learn sometimes'. 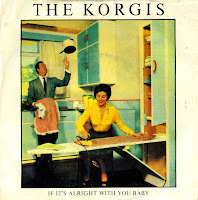 The Korgis released 'If it's alright with you baby' in 1980 as the second single from their second album 'Dumb waiters'. The single version was slightly different from the album version, omitting a few synthesizer sounds in the musical break in the middle of the song. The single reached number 56 in the UK singles chart and number 33 in the Dutch Top 40. It was a slightly disappointing chart performance after the top 10 hit 'Everybody's got to learn sometimes'. It's hard to imagine now, but in the days before the internet, there were ways of getting singles from abroad. One of those ways was Oldies Unlimited, a mail order company based in the UK where one could order 7" and 12" singles. This was in the days before cd's, mind. I used to go to the post office, exchange guilders for pounds and then send letters to the UK containing a few five or ten pound notes and my order form. A week or so later I would get a parcel with records. Every time it felt like Christmas. However, there were also disappointments. Like this one: I ordered a copy of the Korgis 'Everybody's got to learn sometime', and got a copy in a plain yellow sleeve instead of a photo cover. It's the music that counts, but still... I didn't get what I expected. That's the one thing about mail ordering from abroad via snail mail: you never went back with a complaint, because that was too expensive to begin with.